Window Encapsulation is the process of putting stained glass in-between double glazed windows. Once the encapsulation has been performed, windows become triple glazed. 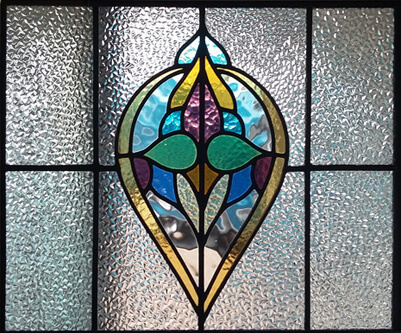 This technique allows you to benefit from both the beauty and character of traditional stained glass while maintaining warmth in your home. You will also preserve the character of your home, thanks to the triple-glazing design. We have expert knowledge in carrying out the triple glazing process and are renowned experts in our field. Many people want stained glass to add character and enhance the aesthetic of their traditional home. But they don’t want to lose many of the comforts associated with modern double-glazed window units. 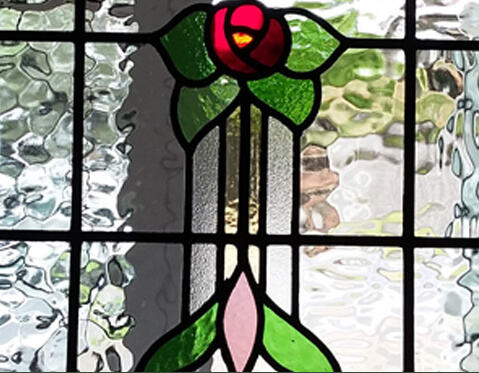 Traditional stained glass methods mean that homeowners have to sacrifice the modern convenience of double glazed window units. Window encapsulation avoids this cost and means that you can have both beautiful windows, and keep heating bills down. Incorporating stained glass into double glazed units generates a new focal point for your home. We understand that it is an important design feature. As a result, we are always available to offer assistance to our customers in the design process. At Woodfield Glazing, we offer a broad range of sample designs for you to choose from. We will then work with you to customise designs, or even build new designs from scratch.